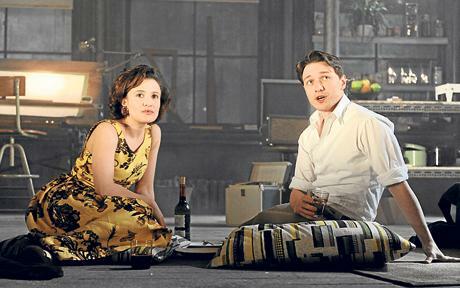 The year 2009 has been a great year for the theatre not just in terms of good productions but also because we saw an influx of big name stars gracing the stage. I have to admit that although I have become more of a theatre stalker now I still get excited to see big name actors and actresses go back to their theatre roots. If I must confess, it was Ian McKellen’s star turn in Royal Shakespeare Company’s (RSC) repertoire productions of King Lear and The Seagull that dragged me back into the theatre, not looking back since. With this list however, I will not attempt to cite the best performances I have seen these actors perform, it’s enough that they made my theatre experience in 2009 “such fun”. This production was saddled with problems to begin with, it’s opening date was pushed back, and Mr. Dreyfuss not able to remember his lines that he had to use a special headset so his lines can be fed to him. It was not an outstanding performance coming from him but altogether it was still a treat to see him on stage opposite the much better Suchet. McGovern didnt do much either but I hardly recognize her from her films looking a bit thinner but still beautiful. Go here for a full review of this production. Confession. I have not seen Oliver! anywhere else before so after being prodded by friends who are huge fans of not just Oliver! but big musicals (I prefer plays in case you havent guessed) I decided to join them in this outing. I was more thrilled to see how Jodie Prenger will do, if you’ve got short term memory, she won the BBC’s search of Nancy in that I’ll Do Anything program with Andrew Lloyd Webber himself as a main judge. 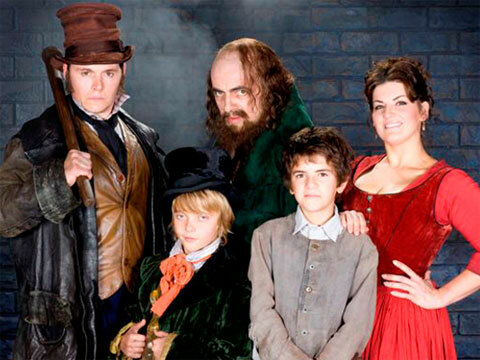 As for Rowan Atkinson playing Fagin, well, not having any other claim of reference I thought he did quite well. The kids absolutely loved every minute that he was on stage. Atkinson has since left the production in July 2009. How can I pass this one up? It’s James McAvoy! He’s Scottish (okay Glaswegian if we are being accurate) and almost everything that he starred in I loved, but I have to say that his dual performance as Walker and his dad Ned was quite not up there. McAvoy had presence alright but it wasnt that overwhelming. 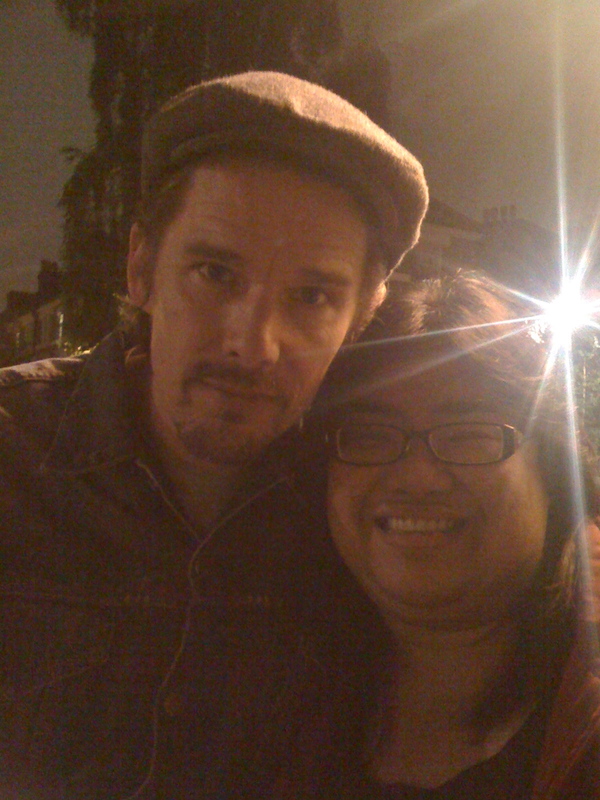 I would like to see him again, hopefully with a much better character, Hamlet perhaps? 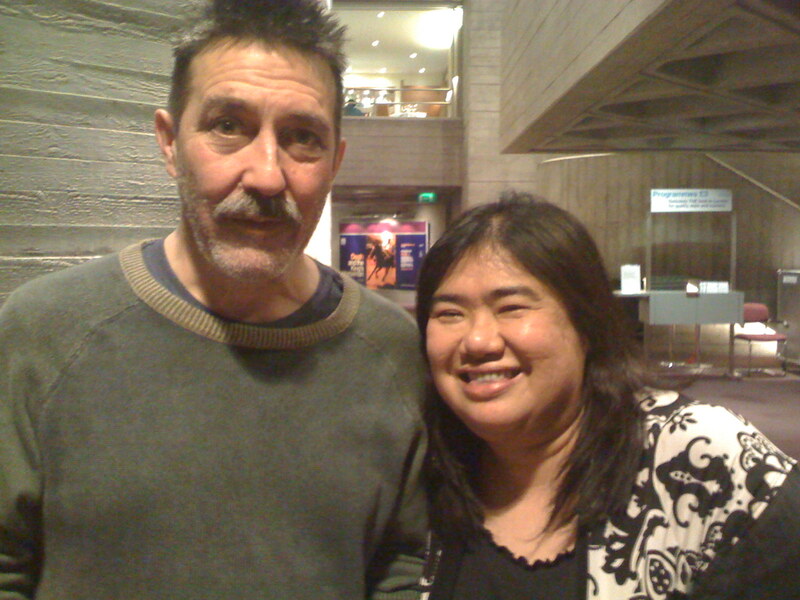 I have seen Ciaran Hinds in most of his tv and film work but never on stage so it was such a surprise that he too will make a welcome return to the theatre. He played a decorated hero of the Russian revolution so in a way the character wasnt a bit of a stretch but the highlight of this evening was actually meeting him. Starstruck indeed! I thought that this was hands down the best performance from an actor I have seen this year. 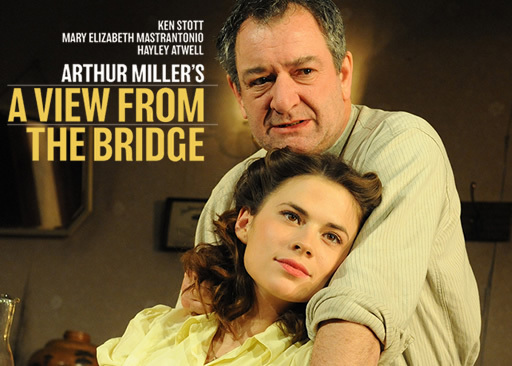 I totally fell in love with Ken Stott’s portrayal of Eddie and felt guilty that I have ignored his recent stage performances. Mary Elizabeth Mastrantonio provided really good support and Hayley Atwell played Catherine so well as opposed to her treatment of Major Barbara the previous year. On Broadway this year, it’s interesting that it’s Liev Schrieber playing Eddie opposite Scarlett Johansson. Sam Mendes and Kevin Spacey made this possible through their annual Bridge Project which if I am not mistaken is now on their 2nd year where a company of both English and American actors will perform two productions in repertoire and bring it across the Atlantic with the final stop usually in the UK. Last year it was Shakespeare’s The Winter’s Tale and Anton Chekov’s The Cherry Orchard. I am excited to see both because of Simon Russell Beale, who may not be a big named Hollywood or film star which was of his own choosing but he is considered one of the greatest stage actor of his generation. The interesting thing surrounding this production apart from the inclusion of Sinead Cusack and Rebecca Hall is the casting of Ethan Hawke. I have a soft spot for Ethan having grown up watching most of his films. I was very thrilled to find out that he has forayed into theatre and was part of this company. Although I had a bit of a problem with him as Trofimov in The Cherry Orchard, but as Autolycus in Tale, by golly, he was sensational! The slow but equally powerful pace of the first half of Tale was balanced by a burning second half with great music played by Hawke himself. Go here to read my full reviews of The Winter’s Tale and The Cherry Orchard. 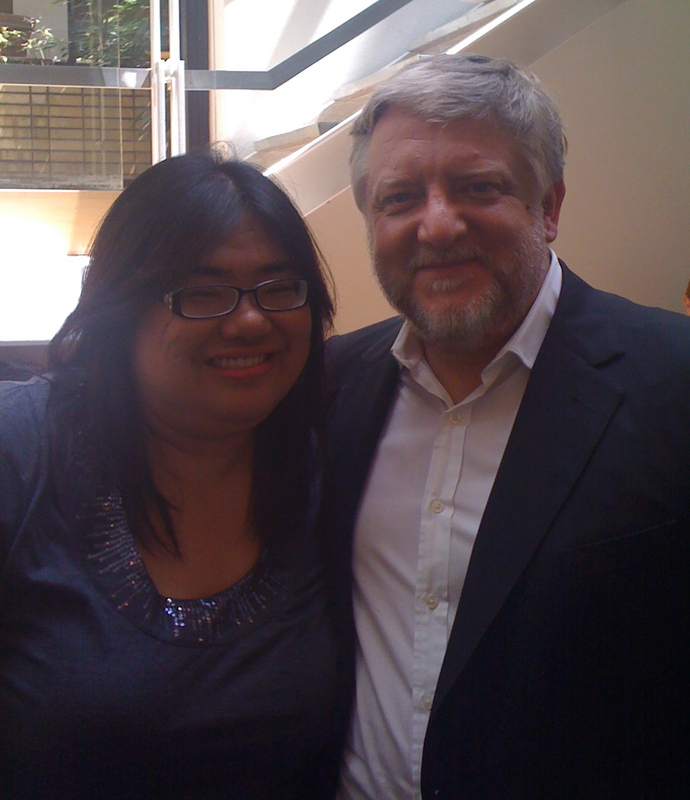 Did I also mention that SRB finally got a photo with me too? I am on an ongoing quest to watch as much Henrik Ibsen plays and so when it was made known that a revival will be staged at the Donmar with Gillian Anderson playing the lead role who is not a stranger to the West End having done What The Night is For and The Sweetest Swing, it will be interesting to see her take on Nora, considered to be one of the most interesting of Ibsen’s female characters. Gillian Anderson was just stunning and gave a very fine performance as the devoted wife then changed woman. Her Nora is beautiful yet vulnerable. Toby Stephens as husband Thomas Vaughan played his self righteous role of a politician with much bravado, kudos as well to Anton Lesser as the faithful Dr. Rank, and I thought that the sub-plot rekindled romance between Kelman and Christine -excellently played here by Christopher Eccleston and Tara Fitzgerald was superbly played. I still would have liked to see a faithful adaptation of the play although this new version was quite engaging. Overall an inspired and wonderful production with high octane performances from all members of the cast. After scoring Best Actress accolades left right and centre for her fine performance of Queen Elizabeth II in The Queen, the whole world was watching when it was announced that Dame Helen will grace the proscenium arch of the National Theatre by playing the role of Racine’s Phedre. As if conveniently to capitalise on Miss Mirren’s current popularity and stature, the NT Live feature was also introduced wherein a live performance of the play will be watched across over 60 cinemas in cities across the globe which whilst highly ambitious in its inception stage is really a clever way of reaching audiences everywhere particularly those who can not travel to London and witness the performances live. 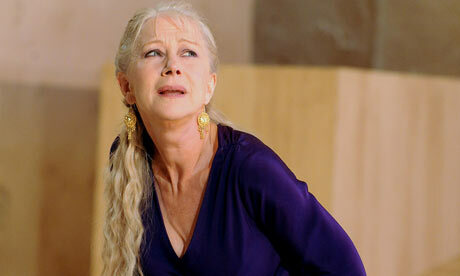 So how did Dame Mirren do onstage as a mourning wife slash highly infatuated with her stepson the next? Although it was a thrill to see her onstage, I have to say that she didnt win me as the passion stricken woman. I was hoping to see more from her, laid bare, her heart and soul stripped. It was still an experience that hopefully will not be the last. A superb supporting cast included Dominic Cooper. 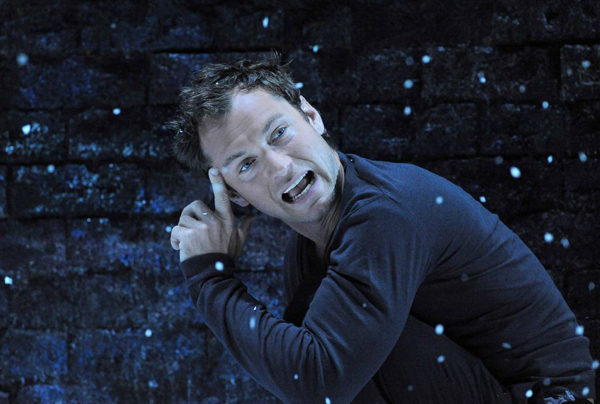 Having missed David Tennant’s sterling performance of Hamlet because of surgery on his slipped disc during X’mas 2008, I must say I was quite excited to see Jude Law’s take on Hamlet last summer. Tickets sold out quite fast and toward its run, there were queues starting so early in the morning for patrons hoping to get day tickets, the frenzy of it all indeed, quite reminiscent of when Tennant did Hamlet. This was my second time to see this tragic play of the Danish prince, having seen a quite capable Edward Bennett tackle the role who was Tennant’s understudy in 2008. So how was Jude Law? Was he more than just a pretty face? Did he pull it off? Well, I thought he was amazing! I almost expected him to fail but no, he was just very good through and through. I was clinging to his every word and believed in him. I even thought I was merely watching a really good actor, who just happened to look and was named after him. Another reason why I wanted to see this production was because of Penelope Wilton who played Gertrude. The success of this production was just so that it made its way to Broadway in September and just closed in December with a record breaking run. 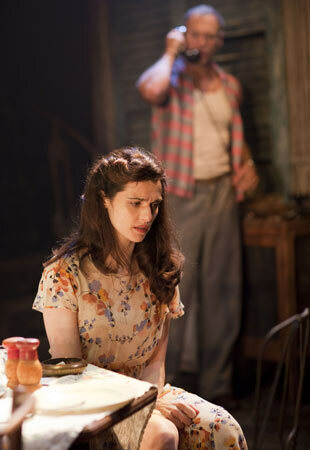 Another theatre buzz last year was the news that Rachel Weisz will play the lead role of Blanche Dubois, Tennessee Williams’ femme fatale in A Streetcar Named Desire. Thoughts such as, isn’t she a bit too young as Blanche? She will be out of her depth with this one. Didn’t she do all those Mummy films? Yes, but wasn’t she also good, surprising us all in John Le Carre’s thriller The Constant Gardener, winning her the Academy for Supporting Actress? And sitting in the front row, watching her every move, changing her clothes in front of you, convincing you she is all pure, you will be attracted to Miss Weisz like a moth to a flame. It was another theatre coup for Miss Weisz eventually won this year’s Evening Standard Best Actress for her spirited portrayal of Blanche. 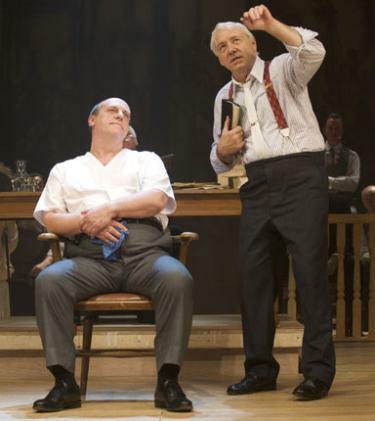 Mr Spacey, who incidentally is the Old Vic Theatre’s artistic director makes a welcome return to the stage with David Troughton in Inherit the Wind, which is a Jerome Lawrence and Robert E. Lee’s 1955 play based on the 1926 Scopes Monkey Trial in which Tennessee schoolteacher John Scopes was put on trial for teaching Darwin’s theory of evolution in contravention of a state law insisting that only religious explanations for the origin of mankind be taught. Matthew Harrison Brady (David Troughton) and Henry Drummond (Spacey) battle it out for the prosecution and defence respectively. I have seen Spacey on stage before in A Moon for the Misbegotten with an equally brilliant Eve Best and Speed the Plow opposite Jeff Goldblum, and Spacey have always given consistenly excellent performances including this one. 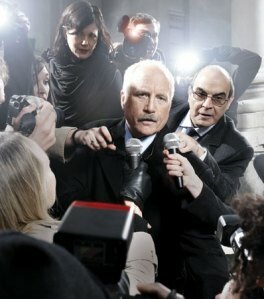 It was announced that in the 3rd year of the Bridge Project he will also co-star in one of its productions. I have yet to see Keira Knightley and Damian Lewis in Moliere’s The Misanthrope at the Comedy Theatre, and quite looking forward to finally see Dame Judi Dench in Shakespeare’s A Midsummer Night’s Dream at the Rose Theatre and Rosamund Pike in Henrik Ibsen’s Hedda Gabler at the Richmond. If you havent tried the theatre before, it might help at first to watch an actor whose previous work you are already familiar with, it might make you keep coming back to see more and as the theatre always needs a fresh new audience, who knows that could be you? And don’t be a stranger and say hello! This article was first published in my pal’s Filmstalker site as part of the annual Stalkers Top Ten.